Who ever thought you could take weighted vest training out of the weight room? 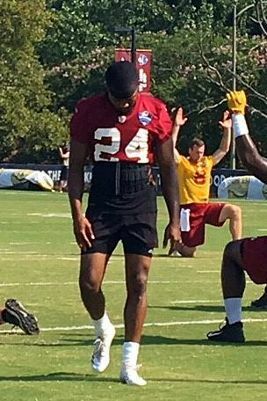 Washington Redskins star corner back Josh Norman was exposed in an ESPN article about weighted vest training during football practice. For a greater mental edge in football workouts and drills during pre-season camp, Josh wears a Hyper Vest ELITE weighted vest under his jersey and pads. Research studies show weighted vest training can provide performance benefits by adding resistance during movement. Norman says he is not sure how he started using the weight vest during football workouts and on-field training. He found that the added 18 lbs added resistance to moves and increased the force of gravity: “It restricts you in your ability to get in and out of breaks faster. Everything you do is mental; be disciplined in your mind and you can go through anything.” The Hyper Vest is a thin weight vest, the thinnest made, and it hugs your body tight. No other weighted vest has the ability to be worn under a jersey and during scrimmages. Many football teams have used the Hyper Vest to simulate the load of football pads during practices when wearing full pads is restricted by rules intended to limit contact during the pre-season. Not even his secondary coach was aware that Norman was loaded with 18 pounds of steel weights. Coach Gray started to notice Norman was not jumping high enough to make some plays on the ball – plays that his top corner had always made in the past. Only a few days later Norman looked much better jumping. The difference was when Norman stopped wearing the added weight. You do not need to be a football play to benefit from weighted vest training. Ready to try the weight vest Josh Norman uses? 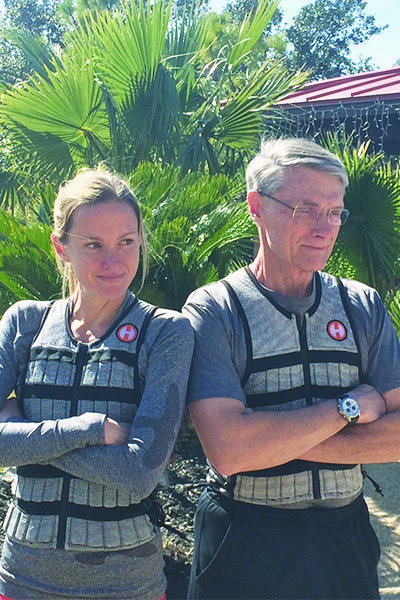 Find out more about the best weight vest from Hyperwear now.